Nothing lasts forever. We humans build things only to have them destroyed or fall into ruin. It is the nature of things. The entire Universe is built on the rise and fall of that very nature. You can't fight it. No matter how hard you try. Even the great pyramids will be gone one day. Over on Malefactor Marc is asking some serious questions about the future of certain Eve Blogging Community features, the Eve Blog Pack, evebloggers.com, Blog Banters and more are at a crossroads. If you haven't, take a moment to read his post. I'll wait. Back when I took over from CK the Eve Blogging community was an extremely viable, vibrant and engaged beast. I was honestly overwhelmed with the powerful response I received from everyone at the passing of the torch. Many bloggers stepped forward to offer help, support and encouragement. Especially Stan, who offered to take the reins on the Blog Banter and has done an exceptional job of it since then. But sadly, my run was to be short-lived. The impending collapse of my own RL business and the horrible storm that was approaching meant my Eve time was becoming extremely limited. Once again, the community responded and Marc stepped up to take on the EBP and even more as time went on. As with CK and myself however, things change. And now we find ourselves at another crossroads. 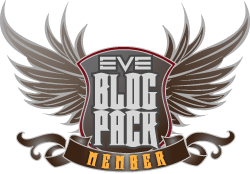 It isn't hard for me to imagine yet another Eve Blogger stepping forward to shoulder the responsibilities of running this or that blogging feature. It will probably happen. The real question is - is that fair? 1. Amalgam feeds - I don't know what else to call them, but apparently there are lots of these places that collect feeds and link to them, whatever they are, I get a ton of traffic from them. 2. Jester - I sure hope I send as much traffic to Teg as he sends to me. 3. News - EveNews24 and The Mittani primarily, but I've also lumped others in here as well. The Mittani has killed Eve Blogging. Why read thru dozens of sites when you can just visit one? You get features, news, opinion, and the unquestionable loyalty of the largest single block of players in-game, fed daily thru forum support that rivals none other. I've been approached three times to write for The Mittani. The first was back before it launched and the most recent was by the very same Marc Scaurus that now poses the questions of what to do with these blogging features. It is no mistake that other community involved bloggers are also involved in that site. By the way, I turned all three of those requests down flat. Personally I can't support The Mittani or the Goons behind him. I don't link to the site here nor will I ever do so. 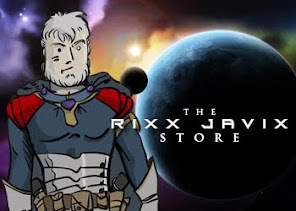 That is a role-playing choice primarily, it would betray all that Rixx stands for to do so. But it is also because I knew full well what that thing's coming meant. And here we are. And it is only natural. Things change remember? Eve is getting close to being a decade old. It is as predictable as the sun rising and setting that eventually something like that site would appear. And while it may seem like I am blaming that site, I am not pointing fingers, but simply pointing out the painfully obvious. I hope someone steps up to the plate, or we discover a way to open-source those resources. I also hope the blogging community experiences a revival and a renewed sense of purpose. Because things continue to change and sometimes, albiet rarely, they do change for the better. If anyone else posts a related article please provide a link in the comments. Thanks. Let's have a sexcam look at two of the phones available, so they seem to be quite durable. ϳust wanted to sаy ѕuρerb blοg! the 5 megapixel camera coupled with an LED flash. 81, and the new face -- yay! Teg, Scaurus & Javix LIVE! Pirate: What does it mean?